The replaceable cables, minimalistic styling, great sound and unmatched comfort make u-Jays a worthy purchase for anyone looking for quality on-ear headphones. The u-JAYS are a pair of artistically crafted on-ear headphones from a little known Swedish company called JAYS. 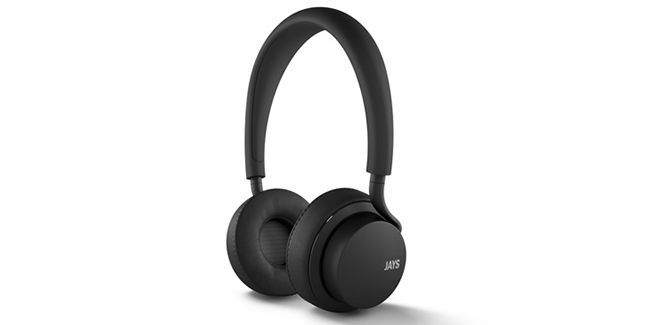 Over the years they’ve made several headphones that follow a similar naming convention: the s-JAYS back in 2009, the c-JAYS in 2008 and so on. While I’ve never really tried any of their other products, the u-JAYS were a happy discovery. They’ve been designed to be simple, aesthetically pleasing, great sounding, long lasting and most importantly, exceedingly comfortable. While the headphones do hit most of the desirable points on that list, the most striking bit for me was the comfort. But before I start talking about the comfort I should probably make one of those full disclosure statements. Here it is: I don’t like on-ear headphones. Whichever on-ear headphone I’ve used over the years, be it the Bowers & Wilkins P3, Creative’s flagship Aurvana, JBL’s Bassline, Harman Kardon’s CL etc, I’ve never really liked any of them when it comes to the comfort department. In fact, the HK CL was by far the only one I could tolerate for extended periods of time. But the u-JAYS is something else. The “viscoelastic ear-cushions” feel truly comfortable. What’s more astonishing is that the usual sweatiness or warmth of on-ears that I abhor didn’t happen on this earphone specimen in spite of providing a brilliant seal. The passive isolation is great which means ambient noise is brought down considerably and at the same time what you are listening to won’t leak out. No point letting your co-workers know you’re listening to Major Lazer’s Lean On or some of your other guilty pleasures, right? The other materials used in the headphones feel premium as well. 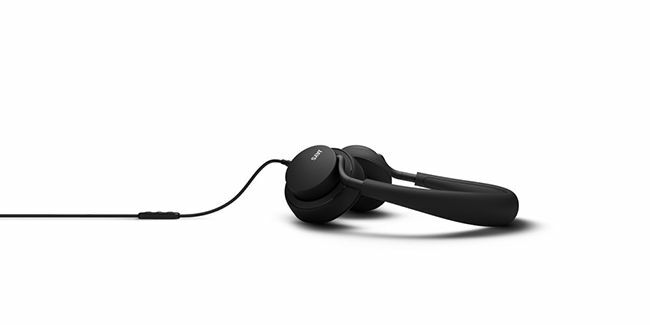 The headband is coated with this velvety material that feels comfortable when the headphones rest on the head. The clamping pressure was perfect for my rather small head size but some of the other guys in the office with bigger melons didn’t find the resistance as minimal as I did. That being said, it’s nowhere near being vice-like. I’d say it’s just right and most agreed. What about sound quality and performance? On first listen you feel the sound signature is slightly warm but you soon realise the slight bump in the lower end while certainly being present, isn’t very pronounced. This makes the headphones exceptionally well equipped to handle vocals. Stereo Love sounded brilliant even while being driven through a normal smartphone, which is great because they headphone is low impedance and its cables with its three button in-line remote is specifically designed to work with either iOS or Android. Coming back to the performance, India Arie’s vocals on While My Guitar Weeps (cover) sounded nicely textured. But when our test tracks traversed a couple of genres to finally end up at some of our most well worn test tracks such as No More Tears by Ozzy Osbourne and Pull Me Under by Dream Theater, I started noticing a few gaps. There was nothing wrong with the reproduction per se – the bass was present and the headphones produced great highs – but a few things were a little incongruous, for the lack of a better word. These tracks just didn’t sound like they usually do. Some bits somehow felt levelled off. Or the drums sounded flat like was the case with Selkies by Between the Buried And Me. The stereo separation was great but at times you felt like the audio is too upfront. Ok hold on... All this complaining might make you think I didn’t like the u-JAYS. In fact, I liked them a lot – the scores say as much. They’re certainly better sounding than say the B&W P3 which costs nearly as much. My gripes only come up because I’ve kept the benchmark really high. It’s just that I’d have liked the audio to be as mind blowing as the comfort was. Overall the replaceable cables, minimalistic styling, great sound and unmatched comfort make them a worthy purchase for anyone looking for quality on-ear headphones.